The law regarding the implementation of guidelines for highly qualified professionals in the European Union (HQRLUmsG) from June 1, 2012 has gone into effect on August 1, 2012. It introduces the “Blue Card EU” as a residence permit, given to those foreign nationals who hold a university degree or comparable qualifications. Who is eligible for a Blue Card EU? 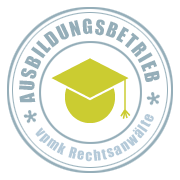 A foreign national is eligible for a Blue Card EU (residence permit according to § 19a AufenthG) if he/she holds a German university degree, a foreign but recognized university diploma or a foreign degree comparable to a German degree. In contrast to the US Greencard, the Blue Card EU is only granted for a specific job, which generates an annual gross pay of 52.000 EUR (from January 1st 2018), or 40.560 EUR (from January 1st 2018) in case of so-called shortage occupations (scientists, mathematicians, engineers, doctors, and IT specialists). How long is the Blue Card valid? The Blue Card EU is limited to a maximum period of four years. If the employment relationship lasts less than four years, the Blue Card is granted for the duration of the employment contract plus another additional three months. Will a priority check take place? Will members of the German labor market receive privileged treatment? Will the working conditions be checked? A priority check as well as an inspection of the working conditions will be waived if the income requirement of 52.000 EUR (from January 1st 2018) is met. For graduates of national universities working in so-called shortage occupations, a priority check and the inspection of working conditions will also be waived. For graduates of foreign universities, the priority check will be foregone if a job offer for a shortage occupation exists. An inspection of working conditions, however, will take place. Can family members of Blue Card holders enter Germany at the same time? Yes. Family members may accompany the Blue Card holder and will receive residence permits in Germany as well. Is it necessary for spouses to have knowledge of the German language prior to the arrival? Spousal reunification may not be made conditional on integration efforts which may or may not have taken place prior to the arrival. Proof of basic German language skills is not required. When can Blue card holders receive permanent residency? Blue card holders can receive permanent residency after 33 months; if German language skills according to level B1 can be proven, this period is shortened to 21 months. Can the Blue Card become invalid after an extended stay outside the EU? Blue Card EU holders may stay outside the EU for up to twelve months without the residence permit becoming invalid. Will stays in other EU countries with the Blue Card be counted towards the right of permanent residence? After holding the Blue Card for the period of 18 months stays in different member states of the EU may be cumulated towards the obtainment of the right of permanent residence EU. Do Visa procedures become necessary in case of migration within the EU? Generally a Visa procedure is mandatory but an application under certain circumstances may be filed within the country.